This post is sponsored by Home Depot. You guys I have been busy creating! 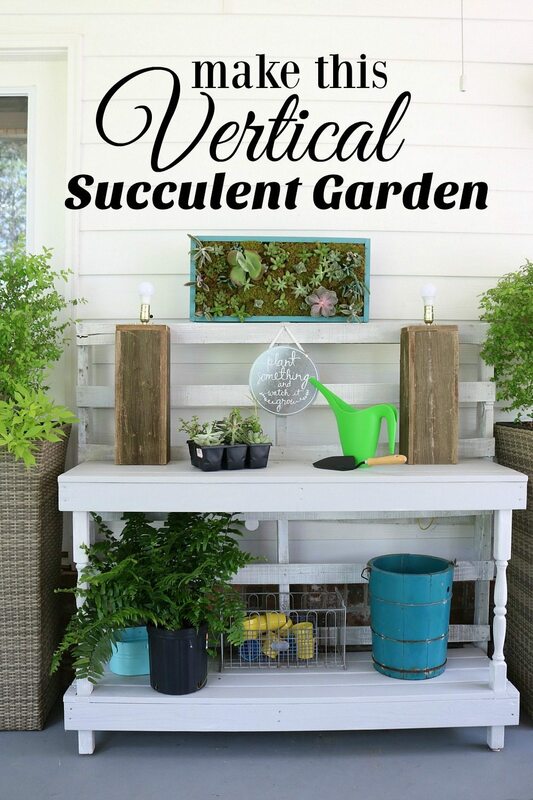 It’s time for our Home Depot virtual party, my blogger friends and I are sharing our vertical succulent gardens that you can make: April 20, 6:30 pm – 8 pm at your local Home Depot. 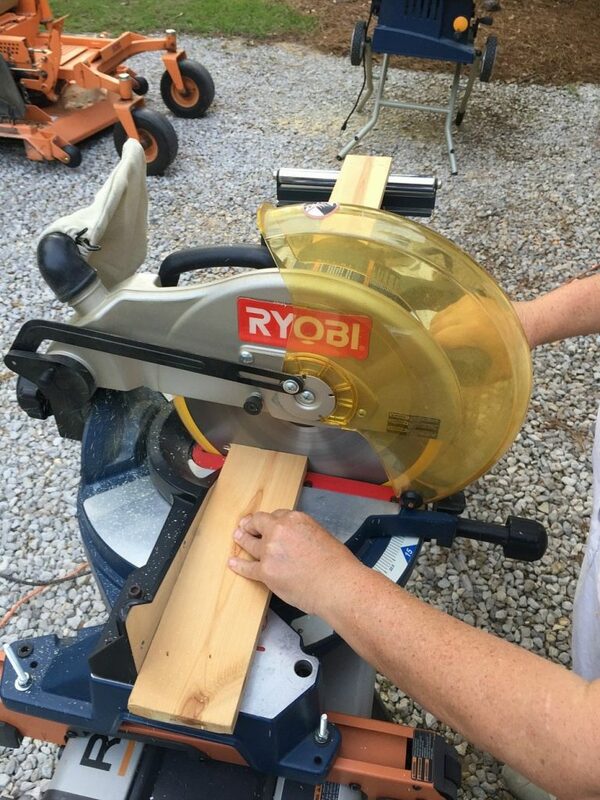 It feels great to create something using power tools, you know what I mean!! 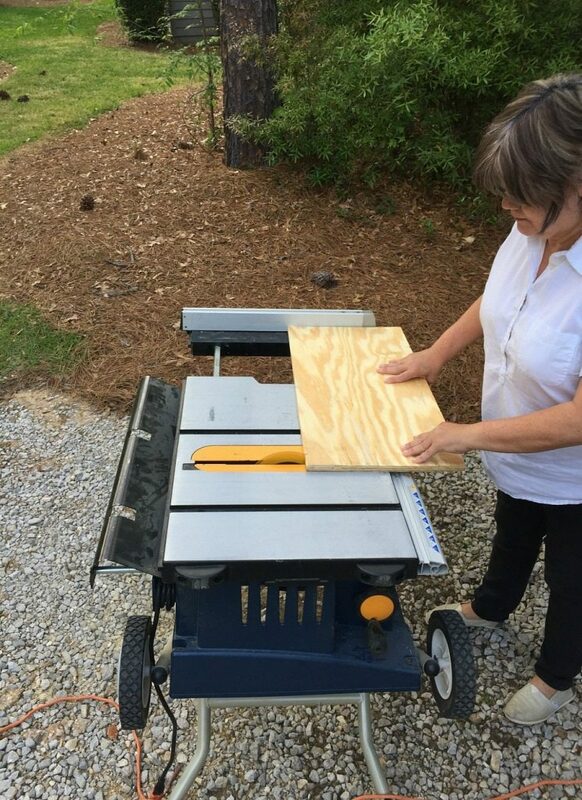 These Do-It Herself Workshops are an awesome way to learn how to use power tools. They’re also great for an evening out with the girls!! Here I am cutting the back of mine, I didn’t realize how crazy my hair looked and yes I do have on goggles. 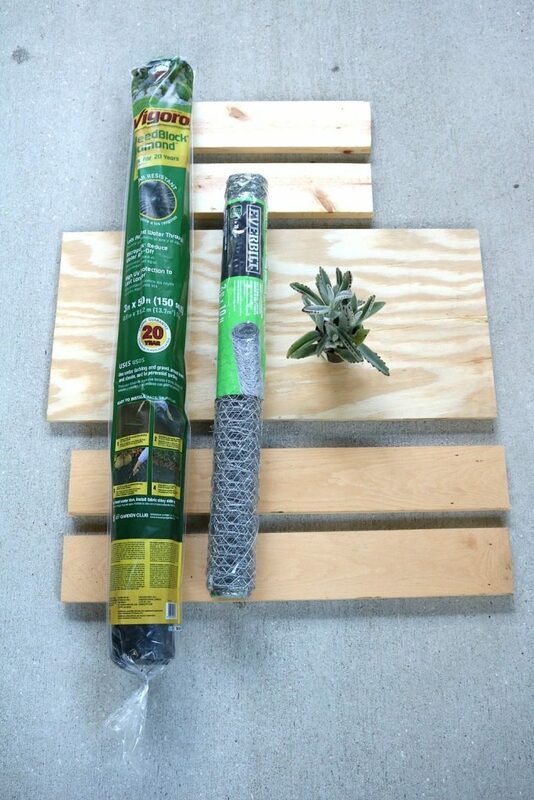 After making the cuts, I was ready to assemble the garden. I decided to spray paint mine, I am loving the pop of color above my potting table. 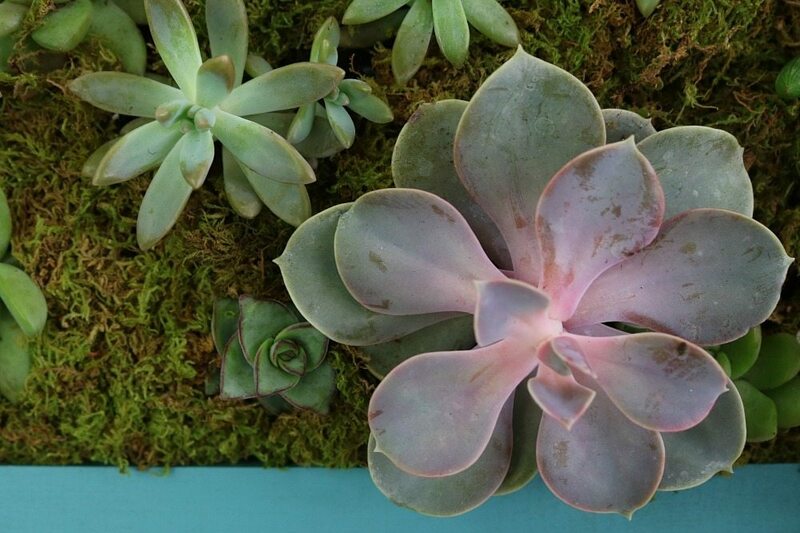 Grab some friends and make it a girls night out at Home Depot. I’ll share the step by step action next week. 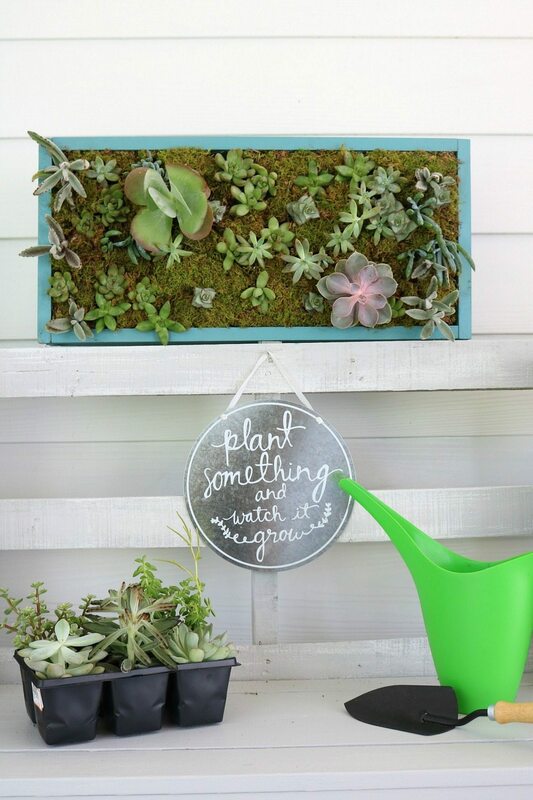 I wanted to remind you to: sign up for the workshop at your local Home Depot, so you can create your own vertical garden. I chose and array of succulents and I think they are loving their new home! It’s like live art, I am so proud of my creation. 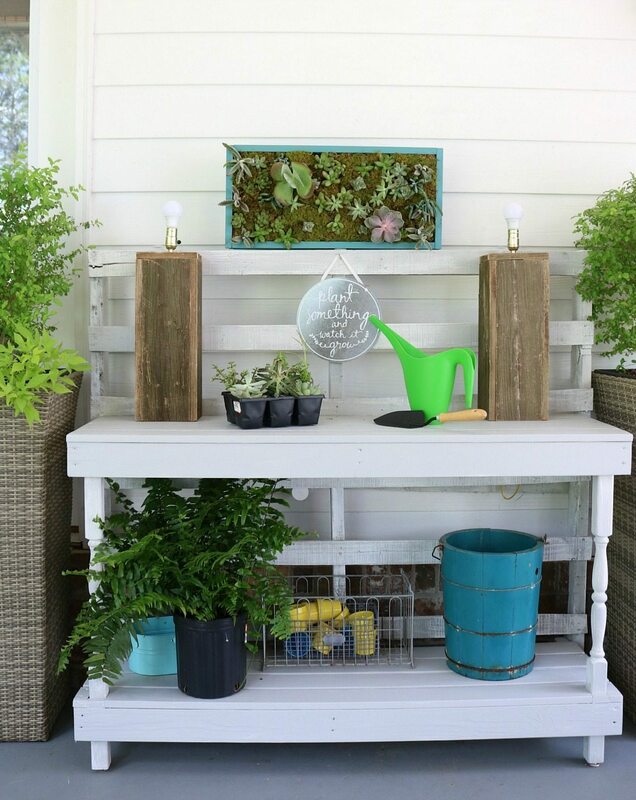 It’s the talk of the porch, when someone comes over I have to show it off! These would make great gifts too, I bet you can think of someone that would love one! Click on over and get signed up, Thursday will be here before you know it! 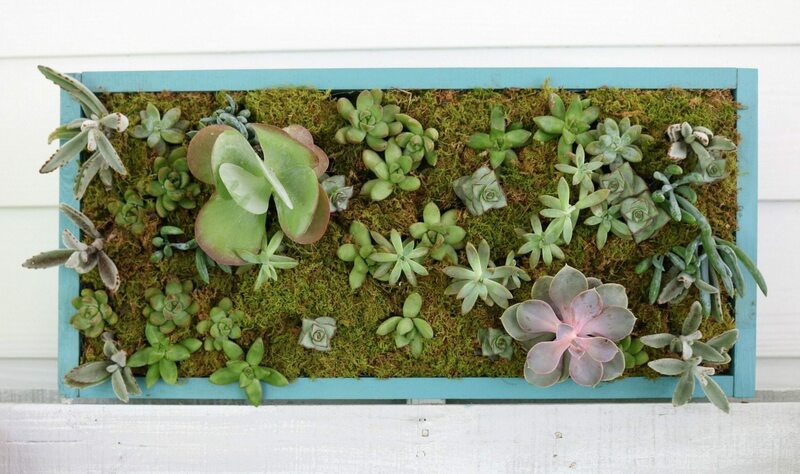 I hope you’ll grab a friend and head over to your local Home Depot to create your own vertical succulent garden! Home Depot would love to hear what you thought: Workshops Feedback Survey.